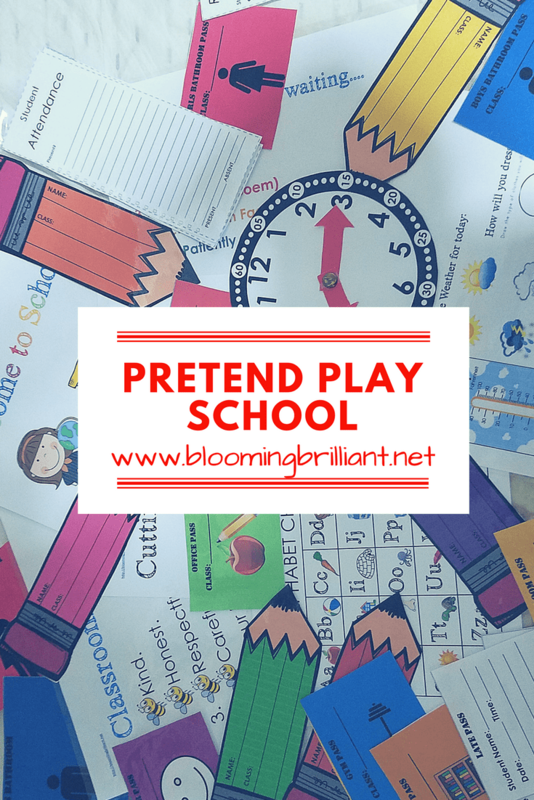 My kids are obsessed with pretend play. Playing school is another thing they love to do. 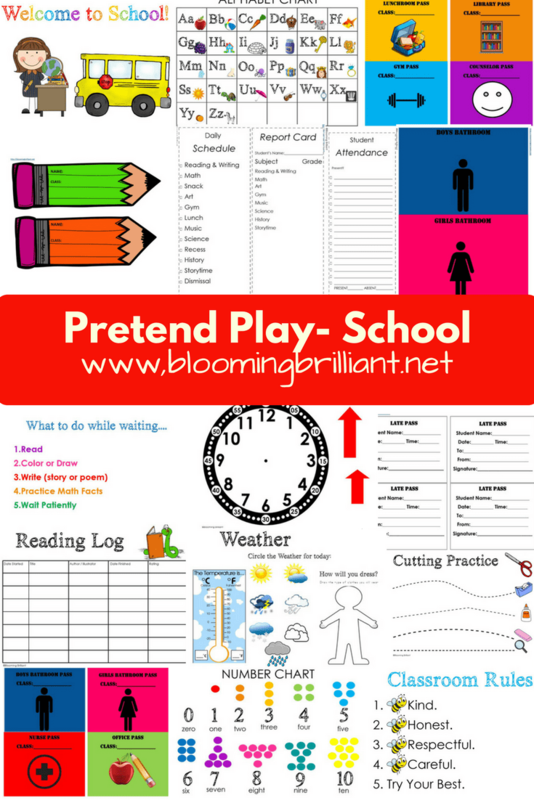 Whether it is with each other or a classroom full of dolls they are role-playing and having fun while learning. I ended up creating this Pretend Play School Set for them to enhance their pretend play sessions. Print on cardstock although paper is fine. You don’t have to print the first page. Read any directions that are on the page before cutting and laminating. I hope you all enjoy our printable, make sure to take a snap shot of your little one playing with it and tag us on Facebook, Twitter or Instagram we would love to see your children enjoying it!